A tour guide explains a range of different booby traps used as anti-personnel defenses in the area during the war. The Cu Chi tunnels, northwest of Ho Chi Minh City, were part of a much larger underground tunnel network used by the Viet Cong in the Vietnam War. 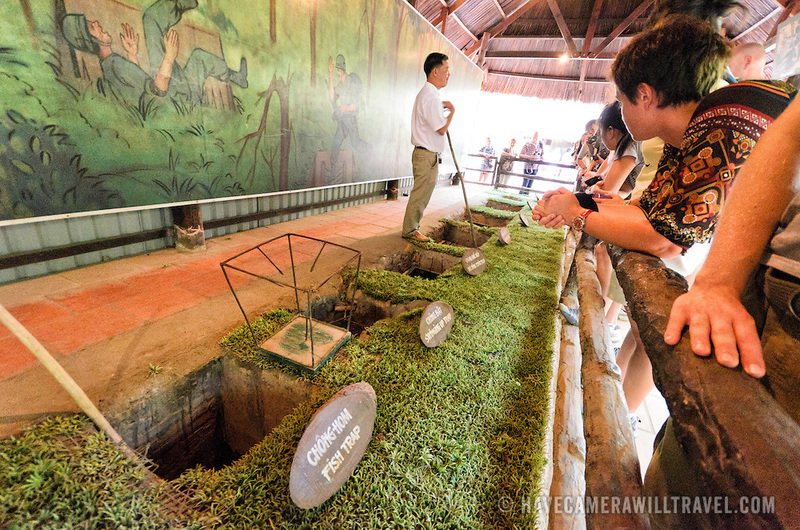 Part of the original tunnel system has been preserved as a tourist attraction where visitors can go down into the narrow tunnels and see exhibits on the defense precautions and daily life of the Vietnamese who lived and fought there.